We’re hoping you’re out there somewhere warming up the grill in honor of doing absolutely nothing for a whole Monday. Our gift to you this holiday weekend is one of our new favorite marinade recipes that makes perfect use of your E. Smith BBQ Bitters. Multiply as needed to satisfy your whole crew. Combine all ingredients in a non-reactive bowl or pan. 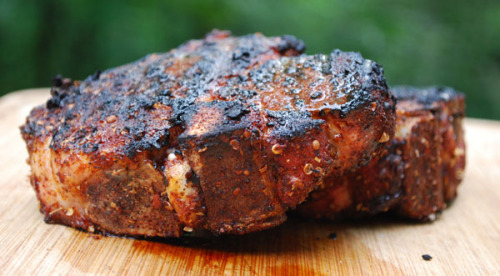 Soak chops in the above ingredients at least 4 hours (overnight is best) in the refer. Grill and enjoy to your little piggy lovin’ hearts content.